Comfortable, outdoor seating on front porch. Dedicated Wi-Fi tower for cabins and cottages. The owner at this rv park lacks customer service skills, she is rude to the point of disbelief. It's a fairly decent park, however in a not so great neighborhood, which is where the problem was. Make sure you can park your toad or tow vehicle with your rig. If not, you will be directed to park a good distance away from your camp, or to park in spaces 16, 17 & 18 which are inside the park but at the front gate where passers by have access to your vehicle. On our last night at the park, someone tried to break into our Back Flip truck tonneau cover causing damage to the cover. There are no security cameras watching the area. It is unprotected. After reporting the incident to management, they informed me that they do have a transient population in the area. It would have been nice to know that upfront. Three hours later and $100 to repair our cover, we moved on. I would not stay here again because of the incident. We've stayed here for a year and a half, since Dec 2014. The staff and managers are wonderful. The restrooms were clean. The internet was good. Some complain about the internet but for us it worked pretty darn good. The internet will usually drop you around 9 am and 5 pm but it's only temporary. The laundry facilities have new washers & dryers. The pool and hot tub are here too. You are out of the Pismo traffic but still close enough to get there on your bike and no blowing sand to deal with. This park is also pet friendly. We stayed here for a week and thoroughly enjoyed the park! 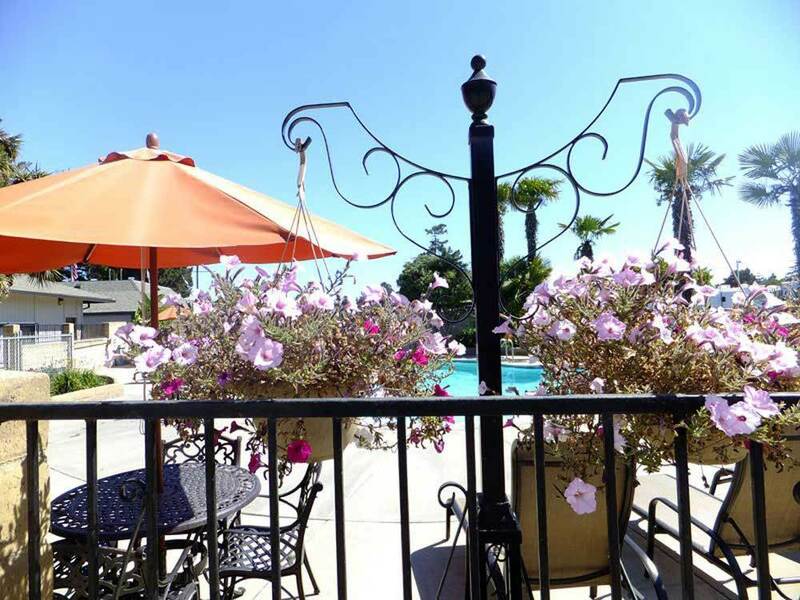 The park grounds and sites are very well maintained, the office staff are very friendly and it is close to all the fun that Pismo beach has to offer. Be sure to enjoy a show at the Melodrama in Oceano during your stay! Autumn and I drove down following the directions from Ms.Garmin. We drove past Many, Many Campgrounds, RV resorts, State and County Parks, some of which we later found out had over 500 Sites. Pismo Sands was the very last park before you left town and the extra two miles was well worth the time. Our stay was AWESOME, the Staff was AWESOME. From the Front Desk Staff to the Grounds Keepers, it was obvious they knew they worked for the BEST CAMP GROUND IN THE AREA AND IT SHOWED IN THE QUALITY OF THEIR WORK. We already booked our stay for next August and extended our stay from 5 days this year to 12 days next year. Have guests who want to join you but don't own an RV? No problem! We offer 4 fully equipped 'Vacation Cottage' rentals. 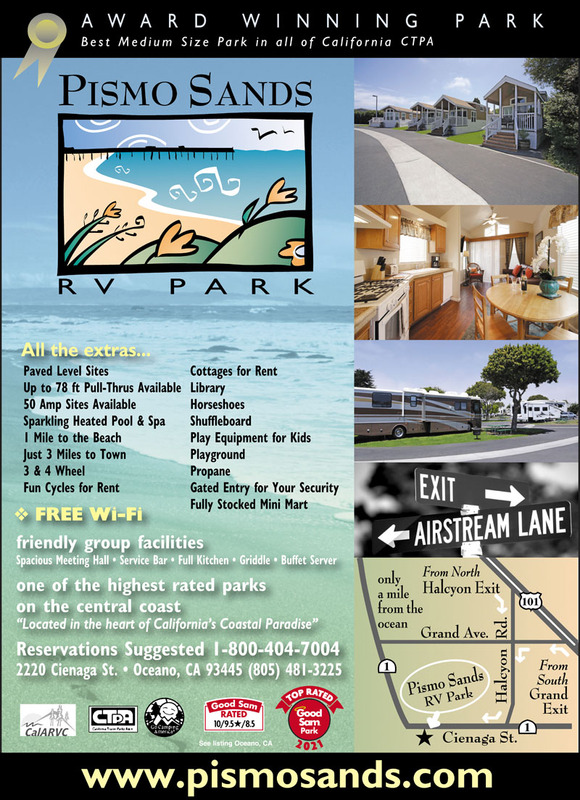 Perfect for anyone who wants to enjoy the comfort and amenities of the resort without an RV.